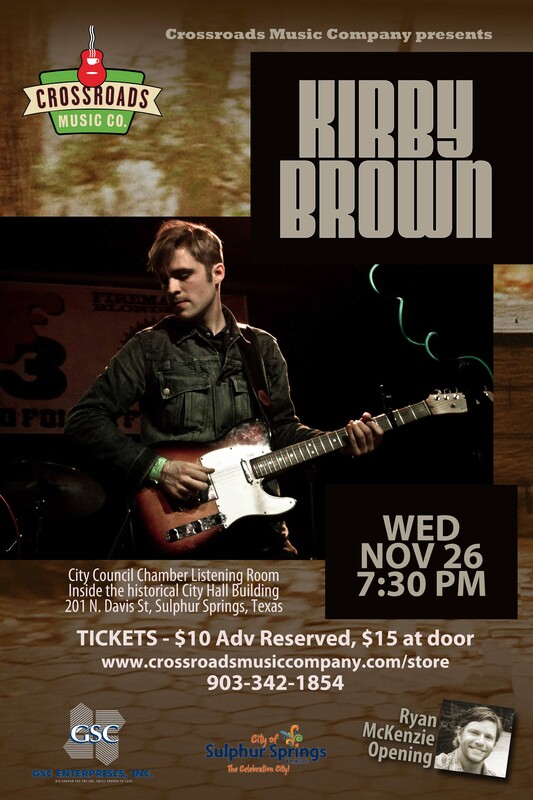 Kirby Brown at Crossroads – Sulphur Springs! Kirby Brown, with our own Ryan McKenzie opening. Come see what he’s been up to in Muscle Shoals Studio!